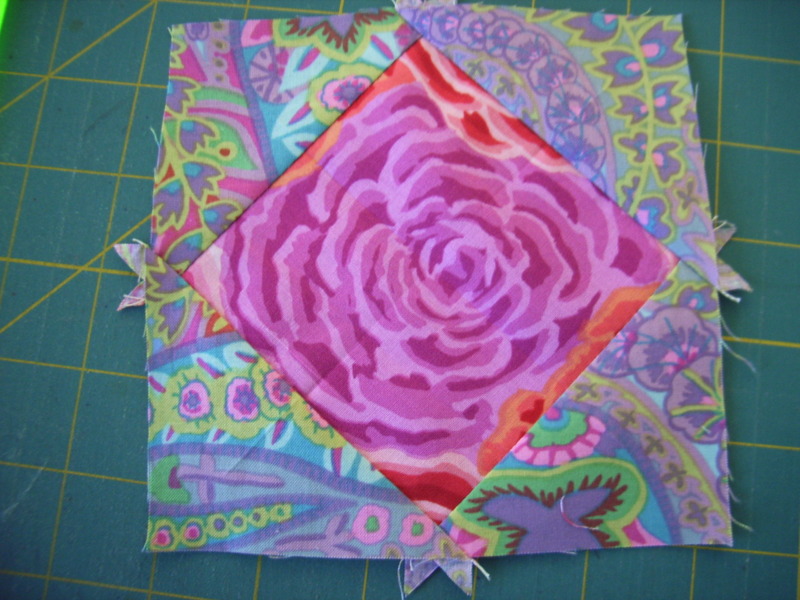 Making Square in a Square blocks involves adding triangles to squares….. and how do you cope with the seam allowance?? 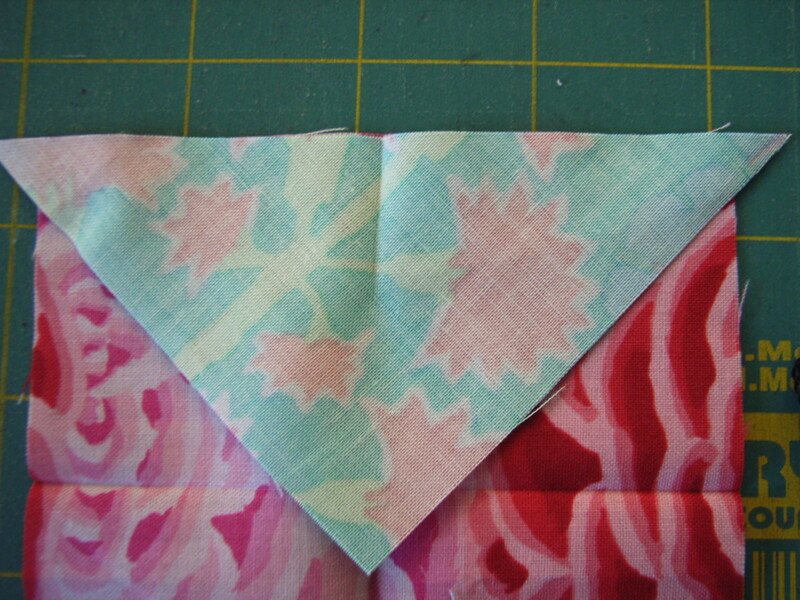 I’ve found the easiest way is to find the centres of the squares and triangles by pressing, then matching them up. 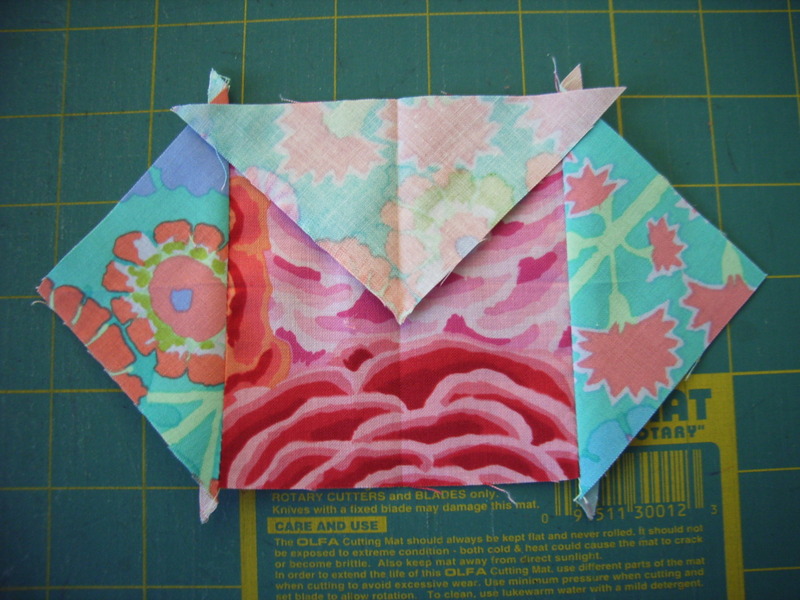 So…..
Now fold the first round of triangles, wrong sides together, being careful not to stretch the bias edge. 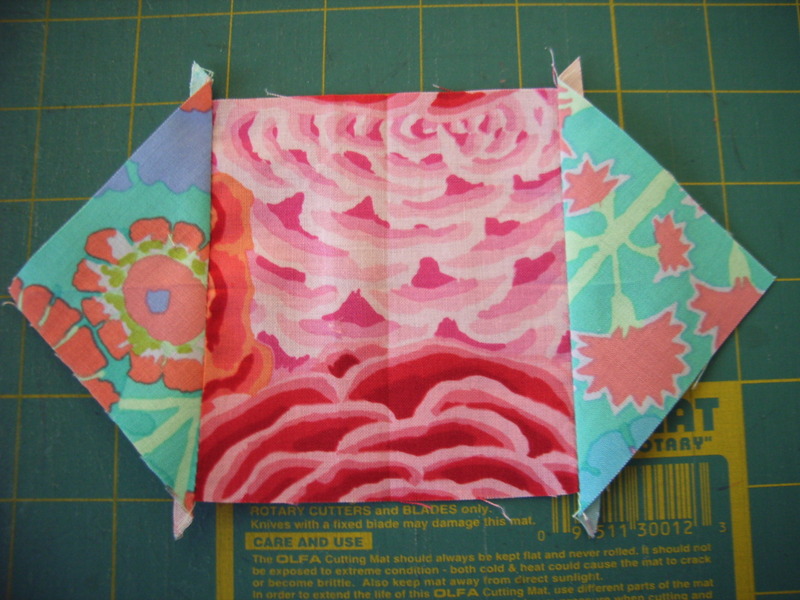 with the right amount of overhang at each end! 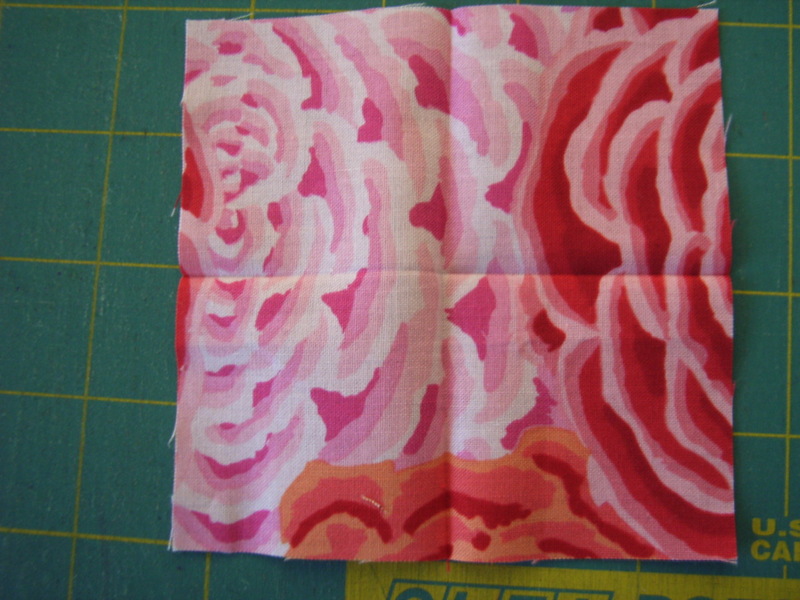 Either pin and stitch, or just stitch. 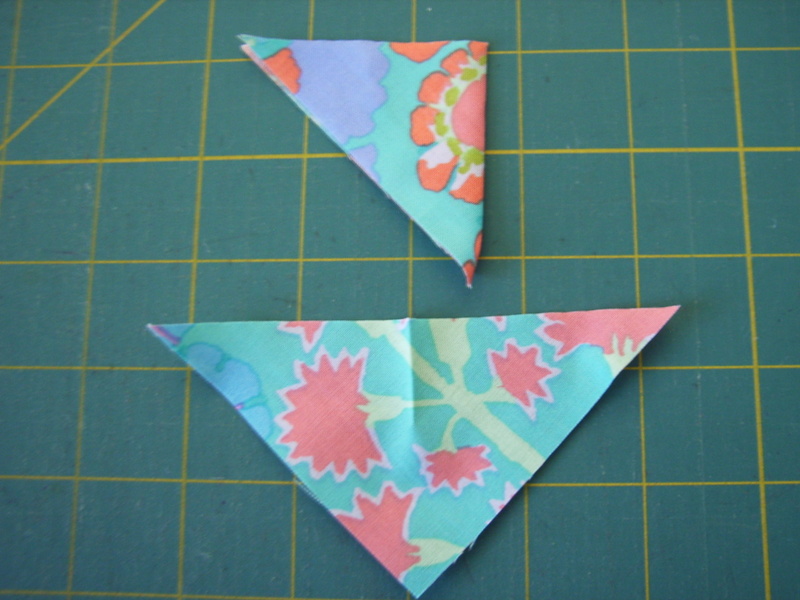 Sew opposing sides first, setting the second triangle up in the same manner as the first. Press the triangles away from the centre square, being careful to not press out the centre marks of the square – if you do, just re-press the square. and there it is….. job done! 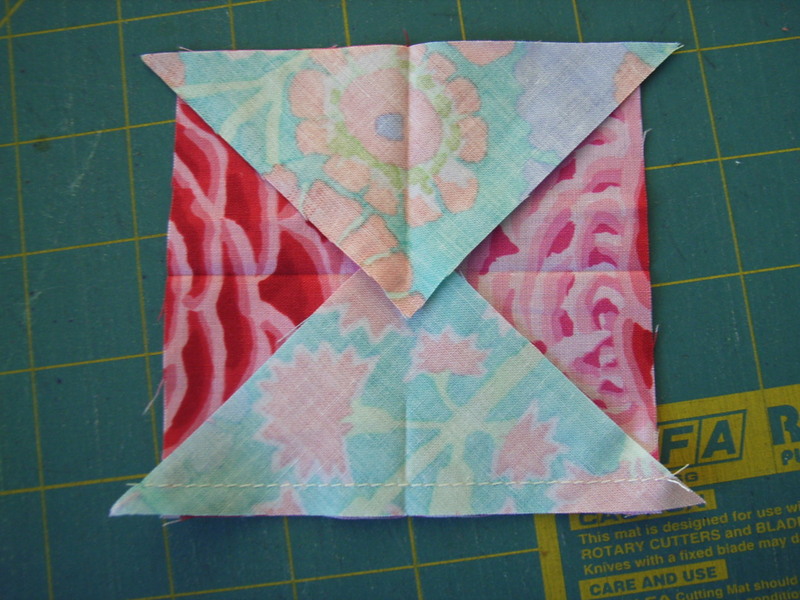 If you need to add more rounds, fold and press the centres of the next round of triangles and use the seam junctions to line up against.